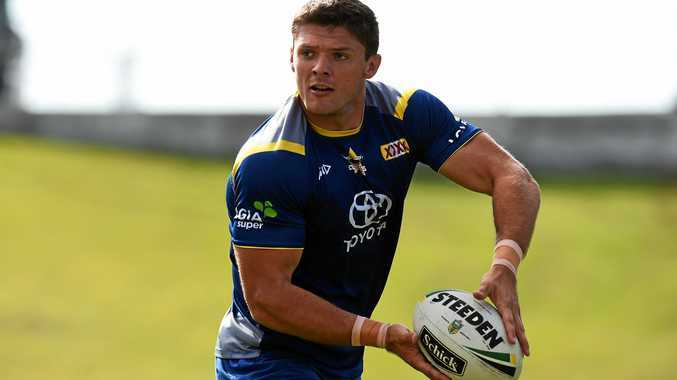 NORTH Queensland Cowboys ace Corey Jensen will be back in Bowen this weekend to take part in an under-7 football carnival hosted by the Bowen Seagulls. Teams from North and Central Queensland descend on Bowen to take part in the event on Sunday at Denison Park. Bowen Seagulls secretary Monika Piggott said the carnival was named in honour of the Cowboys rising star. "It was about getting our name out there and helping Corey to get his name out there also so young kids know what he's about," she said. "His family gives a lot to the club and we wanted to give back to them." Sixteen sides will take to the field on the day which will take place from 8.30am until 4pm. Teams will be split into four pools and will play three half an hour games each. Homegrown star Jensen will be in attendance throughout the day to hand out trophies and meet players and parents. Jensen, 25, is in the midst of his third season at NRL level and has played 37 first-grade games. A professional photographer will be on hand to take photos available to purchase. "Everyone is excited, I've began a Facebook page called the Corey Jensen Carnival and we've got heaps of teams commenting on it," Mrs Piggott said. This event will mark the first time an under-7 carnival of this magnitude has been held in Bowen. Mrs Piggott said Jensen's visit will send a great message to Bowen's junior footballers. "I think it shows all Bowen kids that they can make it, she said. "You have a local Bowen boy in Jensen that plays for the Cowboys and they all look up to him, and it helps them believe that if he can make it then they can too."